There are many unique jobs that require the help and skills we can provide. Anything from removing the unsightly moss buildup on your roof or siding, or maybe you just need some help hanging up your christmas lights this year. Whatever your specific needs are we can always be there to get it done right. There are no problems, only solutions. If you have any special services needed for your home or business CLICK HERE to discuss whether we can be of assistance. A metal roof is a valuable investment but extremely dangerous to clean if you do not have the proper training and equipment. As you can see in the image below, getting your roof washed puts life back into your metal roof and makes it look as good as new again. Our skilled team will use certified rope access systems to guarantee safety and quality to clean every square inch of your metal roof and restore it to it's like new condition. We can wash all types of roof such as fibreglass, slate, concrete and cedar. As with each material having its own characteristics - we have a solution that suits the needs of each material. 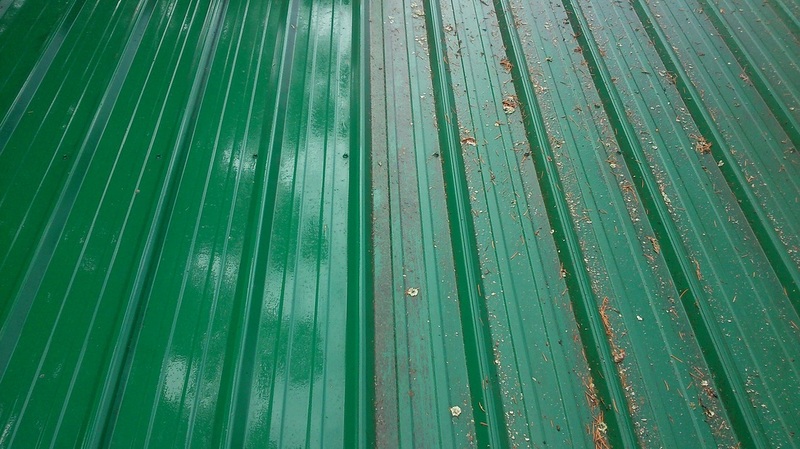 We can revitalize your metal roof back to pristine condition. Unlike other roofing materials, it is safe to use a power washer. Your drive way is the first thing people see as they approach your home and it can make a huge impression. Best time to clean a driveway is in the spring and still quite moist outside. The algae and grime wash off quickly when already soft and wet. Since we charge by the hour for pressure washing, you will end up spending less if you time it right. Soft Washing is an amazing new alternative to power washing and manual scrubbing. Power washing was invented hundreds of years ago to blast through rock and mud to help miners find gold. It cleans by scaling off actual layers of material and has been known to send water into walls, roofs, and windows. We only use pressure washers on driveways and decks. With Soft Washing, we are using our own special solution that can remove algae, spider webs, and ugly mildew stains - In Seconds! Using our own LOW PRESSURE truck mounted pump and equipment our team will quickly get your house looking absolutely brand new without damaging your plants, ponds, or outdoor furniture. Never use high pressure on your siding or roof again, with soft washing you will never face the risk of leaks or water damage due to cleaning ever again. 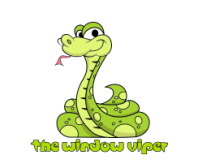 When you call The Window Viper to take care of your moss problem you know that it's going to be done right. There are many services out there selling you "quick solutions" but in all reality, there is no effective shortcut. Before applying any moss killer, the moss must be removed safely and gently. The first thing we do is physically remove the moss by hand and put it in re-usable garbage bags. 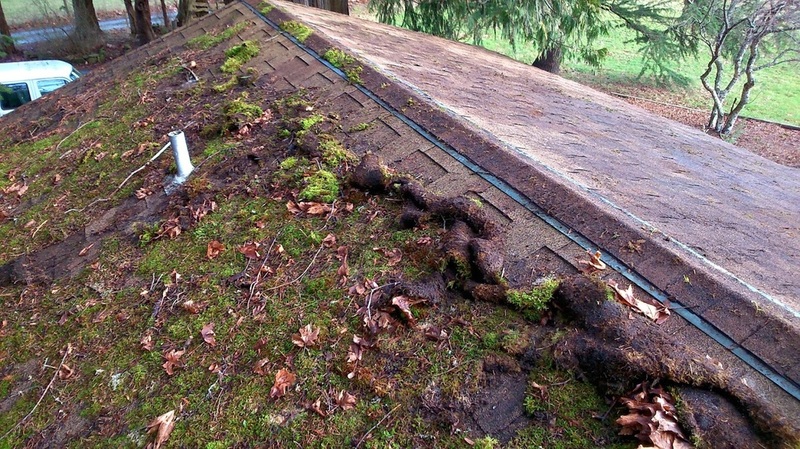 We also clean the gutters as part of the process since the moss naturally gathers there. Next we sweep and blow off any remaining moss particles from the roof and your decks and patios. If necessary, we will rake it from your lawn as well. Once the roof is free of any visible moss we apply a biodegradable moss killer. 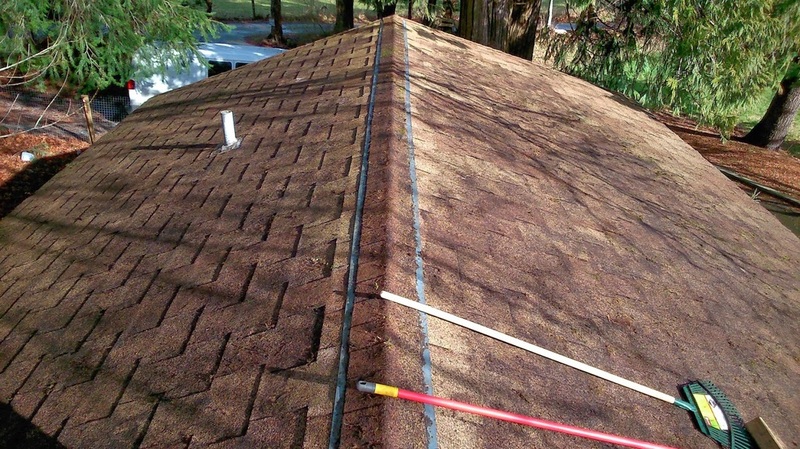 What this does is simply adhere to the roof shingles and raises the PH levels to a point that it cannot sustain vegetation and it kills any tiny bits of moss that may promote regrowth. What you are left with is a roof free of moss and a guarantee that moss will not grow back for at le﻿ast a couple of years, depending on your location of course. When you go with the green there's just no comparison. Moss removal - THE RIGHT WAY. No leftover dead moss remnants. A clean roof on the day we do the job.